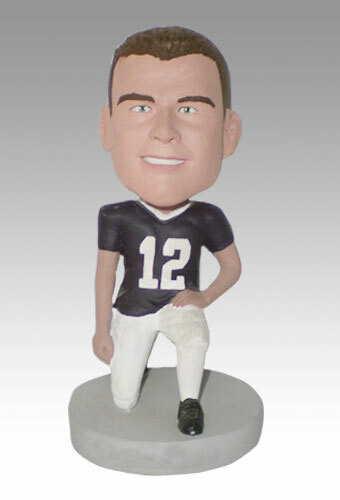 A custom bobblehead doll can be a great way to end a season for a football player or fan. This personalized doll can commemorate his years of hard work and practices with his number and team colors on the jersey. Add a football, a helmet, or other football equipment as desired, and give it to your football star at the end of the season. It can be made to look like his favorite NFL team too!